(BPT) – Real estate experts agree: dirt and clutter are the anti-staging elements that can send buyers running for the door before they ever think of making an offer. 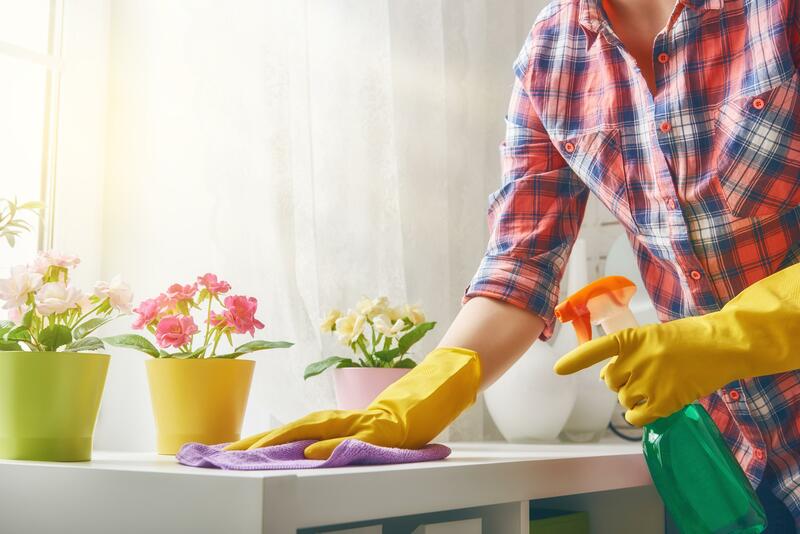 Prior to staging your home, invest some time in deep cleaning it, paying attention to everything from the front walk to the garbage disposal to the air inside your home. 1. Sweep in front of the house. A pot of flowers on the front step is great, but they won’t look that welcoming if dirt and debris are visible too. Thoroughly sweep front walks, stairs and entryways, and don’t forget to clear cobwebs above the door. Put away any children’s toys or gardening tools that may be in the front yard. Hide trash and recycling containers out of sight. 2. Freshen the aromas inside. Pet and cooking smells are major turnoffs for home buyers, but even if your house has neither, freshening the indoor scent can have a positive effect on a buyer’s mood. However, you don’t want to saturate your home in overpowering, chemical-based scents, either. To deodorize more naturally, try cleaning with essential oils. Mix 2 teaspoons of Aura Cacia Main Squeeze Essential Oil Blend, 1 3/4 cups of water, 1/2 teaspoon of Borax and 1/4 teaspoon of unscented liquid soap in a 16-ounce bottle. Before a showing, use the mixture to wipe down kitchen counters, leaving behind clean countertops and a fresh, energizing citrus scent. 3. Speed clean the kitchen. Now that your counters are clutter-free, sparkling and smelling good, just a few more tasks will get your kitchen ready to show. Wipe away any fingerprints on appliances, and put away all pots, pans, dishes and glassware in their proper place. Store pet bowls out of sight, give the floor a quick sweep and dry the interior of the sink with a paper towel. 4. Put your best foot forward in the bath. It’s tough but critical to keep the most-used room in the house looking its best. You probably used your bathroom to get ready this morning, so wipe down surfaces to ensure no hair or debris lingers. Check the mirror for spots and wipe and dry the sink. If the bathtub or shower door show signs of recent use, dry them off. Store used soap, shampoo, scrubbies, loofahs, wash cloths and towels out of sight. Nothing says “show home” like fresh vacuum tracks in the carpet! Just before you leave the house for a showing, give carpets a quick pass with the vacuum. 6. Take out the trash. Go through every room with a trash can and make sure it’s empty. It may not seem rational, but many buyers will equate trash in a waste basket with an untidy home. It’s especially important to empty trash that may stink, such as in the kitchen. Remove trash, store it in a sealed receptacle outside the house, and give potentially stinky trash cans a refreshing shot of sweet basil and lavender aroma with a DIY garbage pail pod. This entry was posted in Real Estate on March 8, 2017 by Mike.